Why is a smaller processor better? When it comes to modern personal computers, there is a question that refuses to die. Why is a smaller processor better? The logic should be that in order for the computer processing unit to do better you should buy one with a bigger processor. Apparently, that does not happen to be the case. This article will review some reasons why you are better off with a small processor if what you are looking for is increased performance. Technology has allowed for size to be no longer an issue in most things. With progressing technology, designers are able to make circuit transistors even smaller. While the processors become smaller, they do not compromise the ability to take more transistors in a smaller space. When transistors are smaller they offer less resistance and by doing so increase efficiency. When you have lower resistance you essentially get lower heat generated. When you use a smaller computer processing unit you also use less power than you would do if you were using a bigger unit. If the technology to make processors smaller was not available, with the increase in the number of transistors now being packed into the unit the processor would have kept getting bigger and bigger until the resistance and heat produced was unbearable. 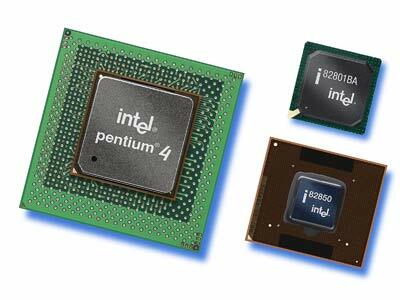 For this reason, the need to come up with smaller processors became even more pressing. You will agree that when something travels a smaller distance, it uses the saved energy to do more work. This is exactly the case with processors that are becoming smaller. The electrons that do the complicated work travel shorter distances in a smaller processor than they do in a large one and thus end up doing more work. To make the concept easier to understand, think about it in terms of running in circles. If you were running in a circle that is 200 meters in circumference to switch buttons you would take more time and switch fewer buttons than you would do if you were running in a smaller circumference of say 50 meters. The smaller your computer processing unit becomes the cheaper it is to produce. When it is produced cheaper, the savings will translate to cheaper products in the market. You will appreciate that in mass production, any reduction in size can have a great effect on the price of the final product due to the economies of scale principle. If smaller units translate in reduced prices for the buyer, it also translates into more profits for the seller. It is clear that the reasons why processors are becoming smaller are to increase efficiency and make the computer drivers give you more for less. An easier way to get the efficiency you need is to try and use a software program such as DriverAssist from SafeBytes. This software will continually scan your computer to determine how it can continue to operate at the maximum capacity with the kind of efficiency you need to enjoy the experience.